S.O.S. Drain & Sewer Cleaning Services offers professional drain and sewer cleaning services. Our methods include high pressure hydro jetting and professional “on spot’ optic inspection. Our service techs use the most modern equipment and techniques to defrost frozen lines and unclog sewer drains, gutter systems, storm sewers, roof drains, and more. The service that is provided to Minneapolis, St. Paul, and the Twin Cities is excellent and affordable. If you find yourself in a bind, S.O.S. is there to help you. Our responsive 24/7 emergency services means that we will be there as soon as possible to take care of issues before they become even larger problems. 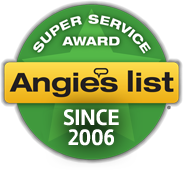 If the problem is not an emergency, we offer same-day service and you will find that we take pride in jobsite cleanliness. 3. Trusted Service – Servicing Drains And Sewers For Over 75 Years! Not only do we offer fast and responsive service, but we also offer preventative maintenance plans that helps cut operating costs, downtime, and costly damage to property. Lines are cleaned out at times that are convenient for you, thus giving our clients the peace of mind that sewers and drains are cleaned. All preventative maintenance programs are custom designed for your needs and we give free estimates so that you are aware of the approximate cost. We value our customers and their business. As a result, we maintain a high level of customer retention and high referral rates. All service work is completed the correct way the first time and backed by our warranty. We correctly diagnose issues to make sure that the line(s) are cleaned right the first time, avoiding repeat visits for the same issue and we guarantee our work. All lines are cleaned using professional cleaning equipment that is well-maintained.